Nangabak ni Dreyfuss iti Kalaingan nga Aktor idi 1977 para iti The Goodbye Girl (1977), ken nainominado idi 1995 para iti Mr. Holland's Opus. ^ Usborne, David (2009-01-31). 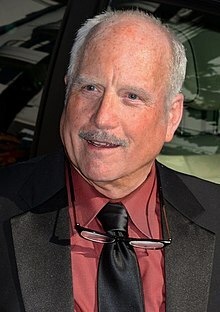 "Richard Dreyfuss: Out of the wreckage". Londres: The Independent. Naala idi 2009-01-31.